Most wars are won well in advance, and Russia and China are both feverishly preparing to win the next major world war between global superpowers. Meanwhile, the U.S. military has been focused on “fighting terrorism” and projecting U.S. power in a “post-Cold War” environment. Of course, the truth is that a new “Cold War” has now erupted, and Russia and China can both see the writing on the wall and they are both developing impressive new weapons systems. Unfortunately, our military planners seem to think that war with Russia and/or China is not very likely, and as a result, our strategic forces have aged nearly to the point of obsolescence. In fact, a 60 Minutes investigation discovered that our nuclear forces were still using technology from the 1960s and 1970s, including rotary phones and enormous 8-inch floppy disks. Most Americans assume that we would easily win a military conflict with Russia and/or China due to our “vast superiority”, but in this article, you will see that is not necessarily the case. 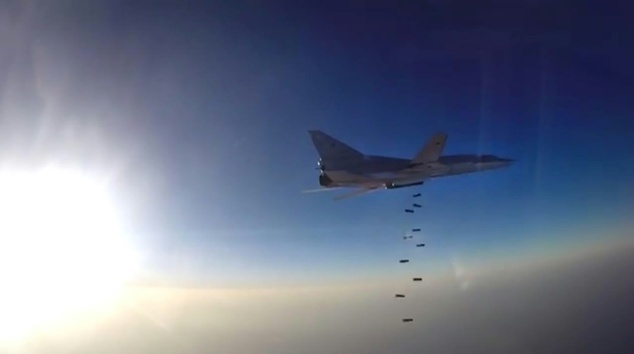 The Tu-22M3M is a ‘deep modernisation’ of the Tu-22M3 which Russia’s air force has about 100 in service and used extensively in missions over Syria in support of the Assad regime. The Sarmat is a heavy ICBM intended to replace Russia’s ageing, Soviet-era missiles that form the basis of its nuclear deterrent. The Sarmat, which NATO named “Satan 2,” has been in development since at least 2011 and is believed to be able to carry an increased number of nuclear warheads and has an increased range. Of course, we don’t know everything, and the Russians and the Chinese are inevitably developing systems that will end up being a complete surprise during the next world war. And this could especially be true for the Russians because they have the most advanced anti-missile systems on the entire planet and can easily handle just about anything that we can throw at them.